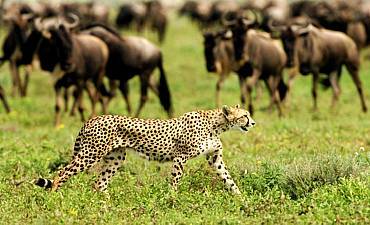 Need Help With Choosing Your Serengeti Accommodation? Scroll Down.. Accommodations in Serengeti come in two main types, lodges and varied tented camps, and in 3 Safari Tiers from super luxurious, deluxe mid-range to value cost-conscious. 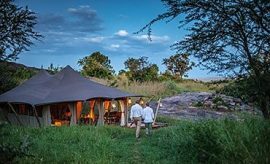 Premier tented camps in Serengeti top the Safari Tier 1 accommodation like Sayari Camp in the north, Sabora Tented Camp by Singita in the west, Migration Camp in the east, Kusini Camp in the south and more. All range with opulent private living space, beautifully furnished and immaculately presented with every yesteryear amenity laid on, often including butler service, massage, king-sized beds, Victorian bathtubs, sumptuous cuisine and highly skilled experienced guides. 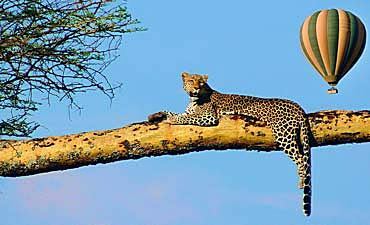 What makes them such memorable luxury gems for AfricanMecca guests is their unobtrusive integration into wilderness. 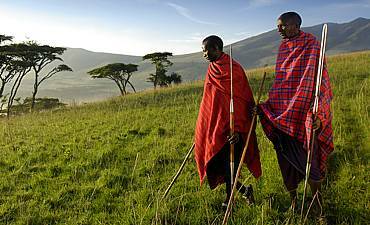 Small, exclusive, intimate, boutique and isolated, they are ecologically responsible and guest centered to ensure the most rewarding, ultra-comfortable and richly satisfying nature vacations in Africa. 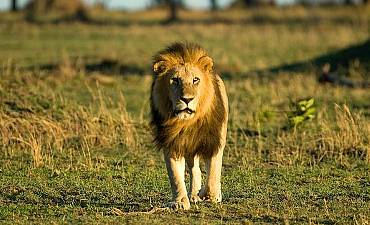 These are epitome destination lodgings for unparalleled game viewing and photography. The deluxe Safari Tier 2 canvas accommodations in Serengeti like Buffalo Luxury Camp in the east, Lake Masek Tented Camp in the south have more rooms with more guests in camp, offering slightly less flexibility of organized activities than the premier accommodations but still aspire to the very good standards of service and attention to detail. 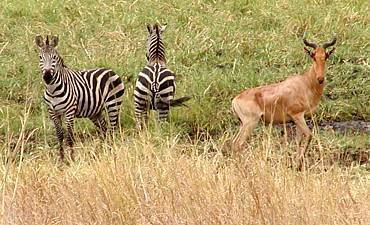 Value tented camps like Kati Kati Camp in central Serengeti has several campgrounds but are away from each other. 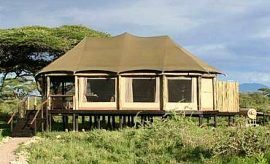 These modest camps are set at Safari Tier 3 specifically for budget conscious guests geared towards economies of scale with no-frill services and standards. They bargain fair value with the least personalization and rigid timetables to accommodate higher numbers of guests in their varied campsites but still reflect the concept of Edwardian safari comfort but bearing no resemblance to rough back-packing. 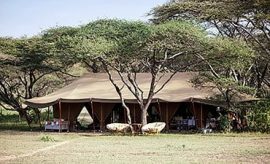 Serengeti permanent camps offer tented accommodations in different forms for different types of Serengeti safari experiences. All have pitched canvas or resin quarters on raised stone or decking platforms, and come with en-suite bathrooms - others with antique or yesteryear decor furniture. 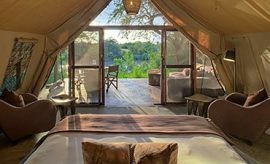 Seasonal bush camps in Serengeti like Kimondo Camp and Singita Mara River Tented Camp in the north do not move. They operate in selected areas to capture specific seasonal exodus experiences on the path of the migration. 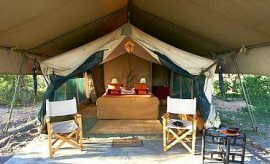 Temporary tented canvas camps are setup in government allocated campgrounds that merge into their surroundings, leaving a minimal footprint on the environment. They provide flush toilets, open-air showers, comfortable beds, modest lighting and superb campfire meals. 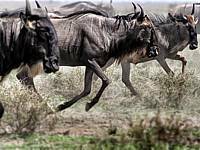 Serengeti Mobile Camps like Serian Serengeti North & South Camp, Ubuntu Camp by Asilia (Mara, Ndutu & West), Nomad Serengeti Safari Camp, andBeyond Serengeti Under Canvas are portable, and move two or three times yearly shadowing migratory herds. 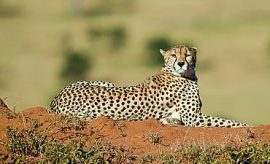 Most are small, luxurious, exclusive and are well away from the main tourist trails; they combine exemplary personal service with outstanding tracking skills to provide the ultimate in wilderness exposure together with a safe safari adventure. Lodges in Serengeti are solidly brick or stone-built complexes with individual chalets, cottages or block buildings around a central dining area, reading lounge, restaurant, pool and bar. 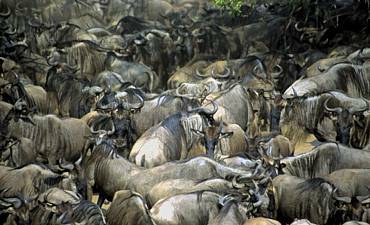 Depending on the selected Safari Tier, these range from luxury to more restrained value accommodation facilities correlated to tier standards for amenities, service, food and care depending your budget but all offer unforgettable Serengeti wilderness tour experiences. They generally have the highest number of guests and rooms, some lodgings amassing over 150 guests, mostly couples and families. Four Seasons Safari Lodge is marked at Safari Tier 1 while Soroi Serengeti Lodge with its 25 chalets and Serengeti Sopa Lodge with its 69 rooms are set at Safari Tier 2 and 3 respectively.